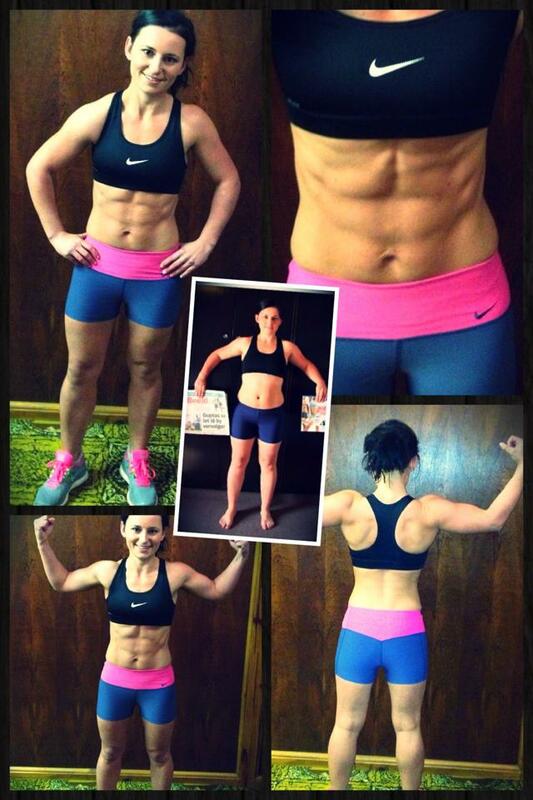 “This at the moment is VERY embarrassing but I am doing this to inspire others and myself. 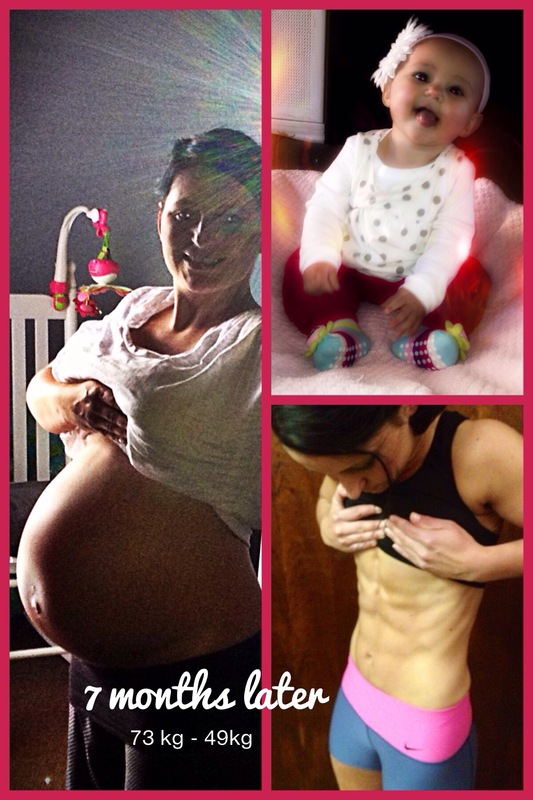 I am committed to change my life and my body. Watch this space ;-). 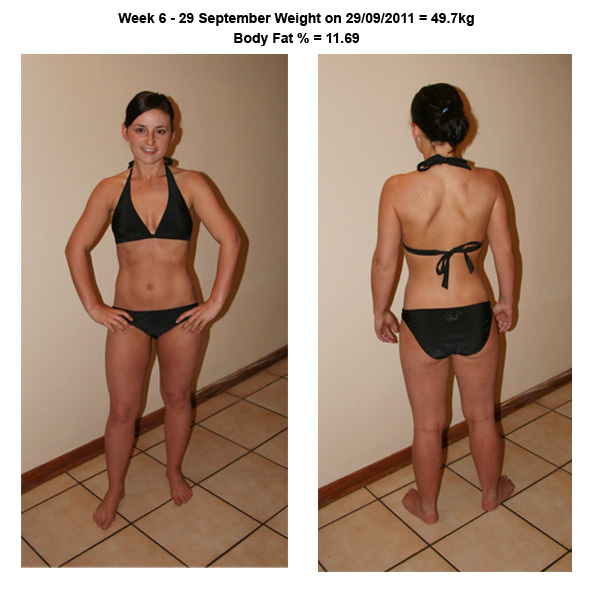 I will upload every two weeks on measurement days – Thursdays.” This was the way I felt a few weeks ago and today I can say I am super confident to share my transformation journey. 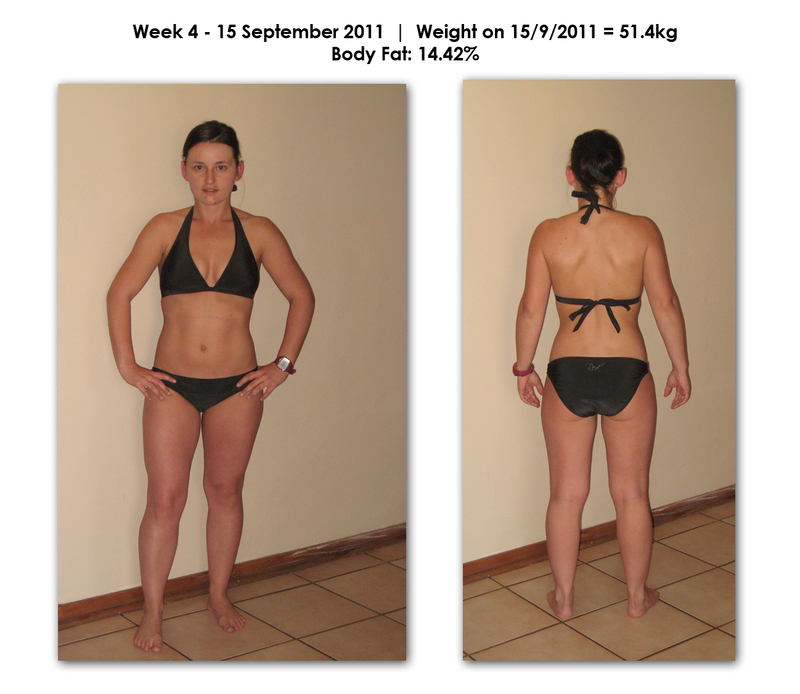 In the slideshow you will see Progress pics of Day 1, Week 2, Week 4, Week 6, Week 8, Week 10 and Week 12! 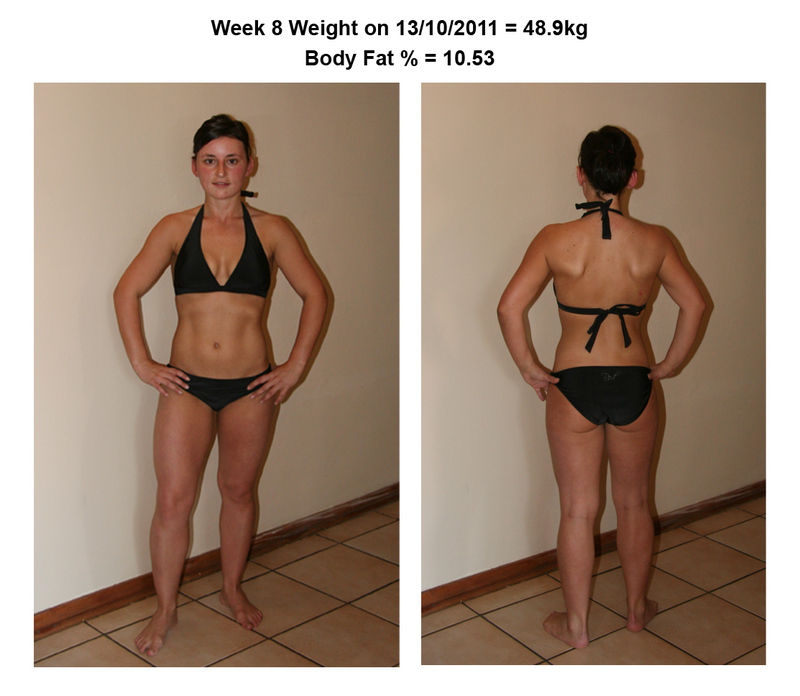 I have lost 8.70kg in 12 weeks and 15.08% of fat. My life is CHANGED and I will never look back! You absolutely do have the power to change, you can do it. You will never look back. Lastly I want to make it clear that my measurements was done every second week by ‘n biokinetic with a caliper doing skin folds etc. Conclusion: Whether this is the MOST ACCURATE way of measuring or not I don’t care. 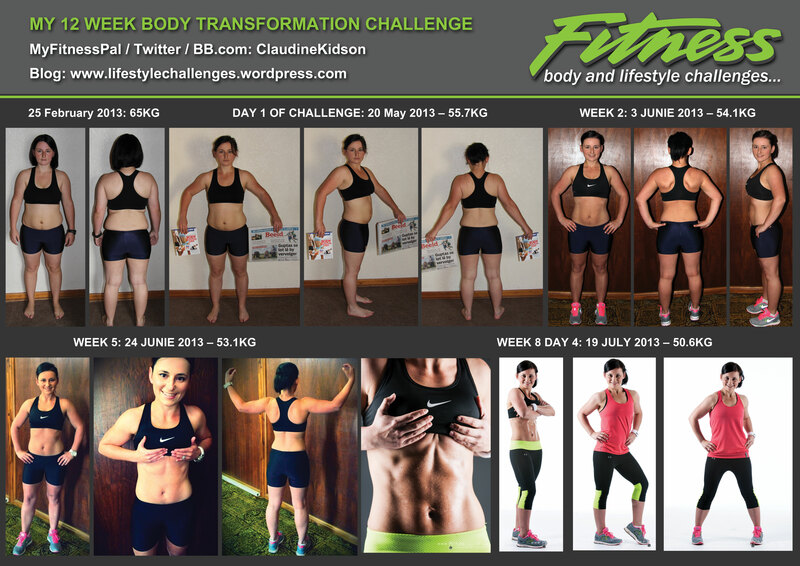 At the end it is not about the % but the overall transformation and the way my body has been transformed. So for those thinking 6% is impossible who cares this was assessed/calculated by a second opinion and that was the results. Thank you for all the support, mails, comments I appreciate it so much. This is not the end for me but the beginning of me reaching others who struggle reaching their full potential. 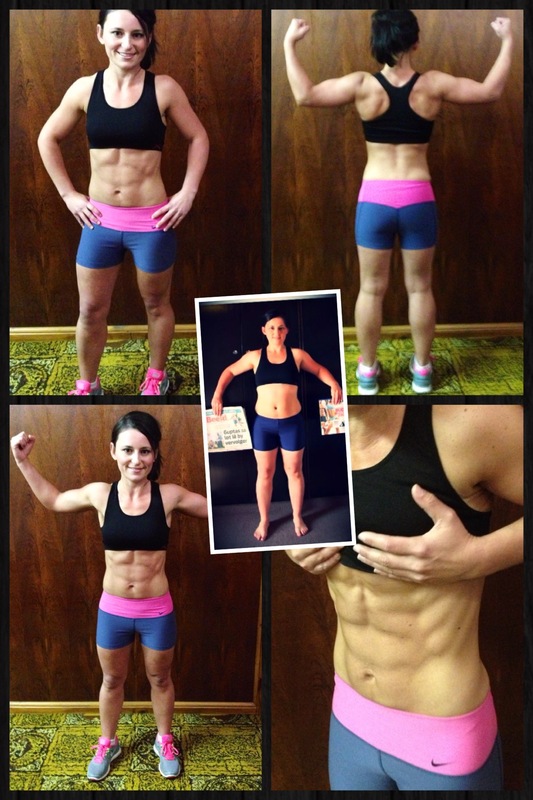 Congratulations……..you can already see the change in your body. Congrats!!! Your hard work is paying off! You look great! Well Done – huge difference already! You can be proud of yourself. Oh my! This is very inspiring indeed. I am on week 2, and so far so good! Jy is vir my ‘n groot inspirasie. Ek het jou blog as ‘n Favourite en gaan gereeld in om te kyk hoe jy vorder!! Hou so aan!! Jy lyk al stunning!!! oops, vergeet om my naam in te sit…. Ek is 30 en ‘n mamma van 2 pragtige dogtertjies. My baba is nou 13maande oud en ek probeer ontslae raak van hierdie vetjies, en deur jou blog te lees, doen my net goed. Dan voele ek sommer geinspireer!!! Vreeslik dankie vir jou boodskap Charlene ek waardeer dit. Jong ek dink elke vrou sukkel maar met daai vetjies na die swangerskap. My beurt kom nog :-). Ek hoop daai vetjies word sommer gou minder. 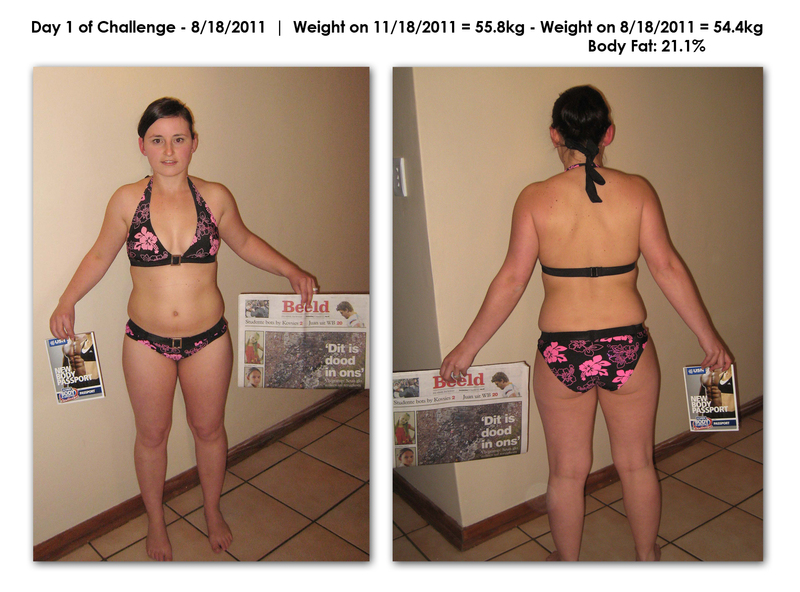 Maak net daai klein “lifestyle changes” en jy is gou ontslae daarvan en op die pad na ‘n beter jy! Lekker week en hou my op hoogte. Claudine! ! ! ! ! WOW mens kan duidelik die verskil sien en jy lyk flippen goed! sterkte met die res van die challenge, hou vir jou duim vas. Baie dankie Niki as ek net kan begin cut / tone. Die hele ernstige prep soos vir kompetisie is vir my ‘n eerste so glo ek sal net meer en meer leer van hier af en dan ander kan help ne ;-). Lekker dag. wow! jy lyk stunning! Well done – so trots! weet jy werk baie hard en mens kan dit sien. baie baie geluk!!!! Die is bewys dat harde werk wel afbetaal!!! WOW!! Jy lyk baie goed! Dis harde werk wat jy doen om so te lyk en jy pluk absoluut die vrugte daarvan!! Baie geluk – challenge complete!!! Jy het dit gedoen, trots op jou. Well done, jy lyk amazing. You look amazing!! I workout regularly and want to take it to the next level. I want to feel confident by new years and would love to commit to this program but I’m really scared to stop cardio lol. I would love to know if this program was hard to follow? Wow, you have inspired me! I am currently in week 5 (have had 4 weigh ins so far.) of the USN challenge. Have lost 4.2kgs and 4.9% body fat. I am still, however looking at myself and to be very honest not seeing massive results yet. 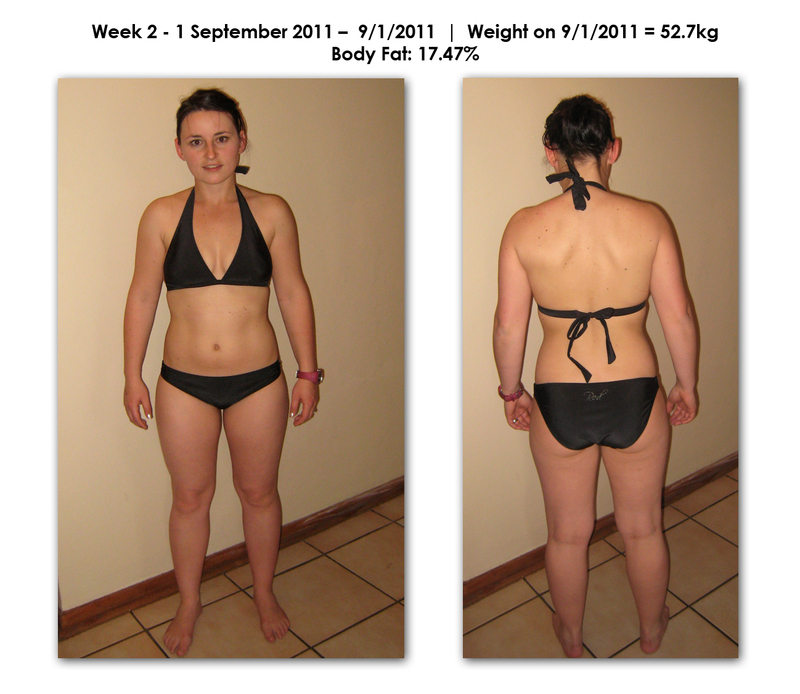 Does my kg and fat percent loss look ‘on track’ Challenge wise? When did you look at yourself and think wow! 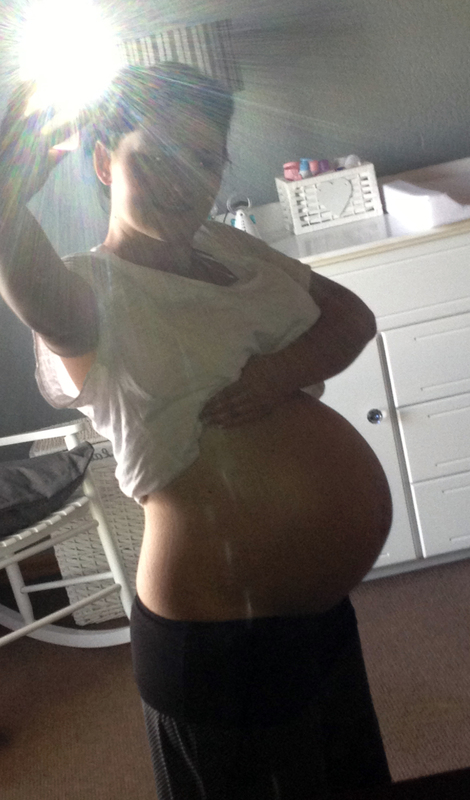 My body is really changing shape! 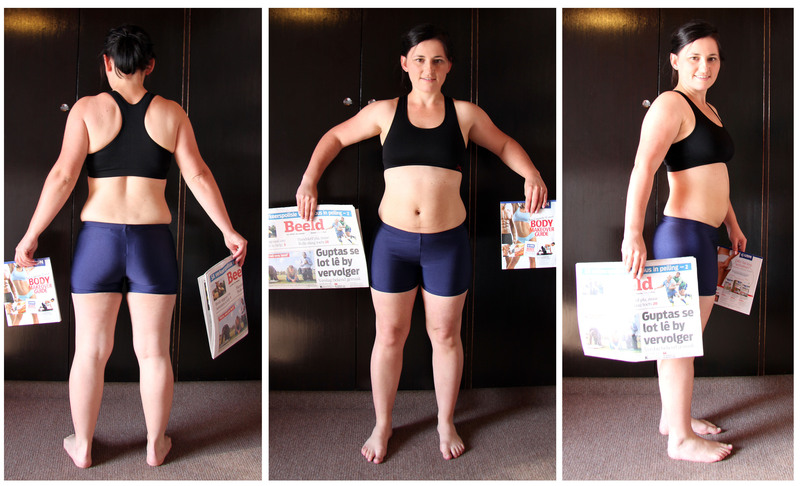 I have a lot more than you to lose…I started off at 73.9kgs…eeek!!! Hi Wendy first of all well done on taking on the challenge! Your results so far is fantastic. 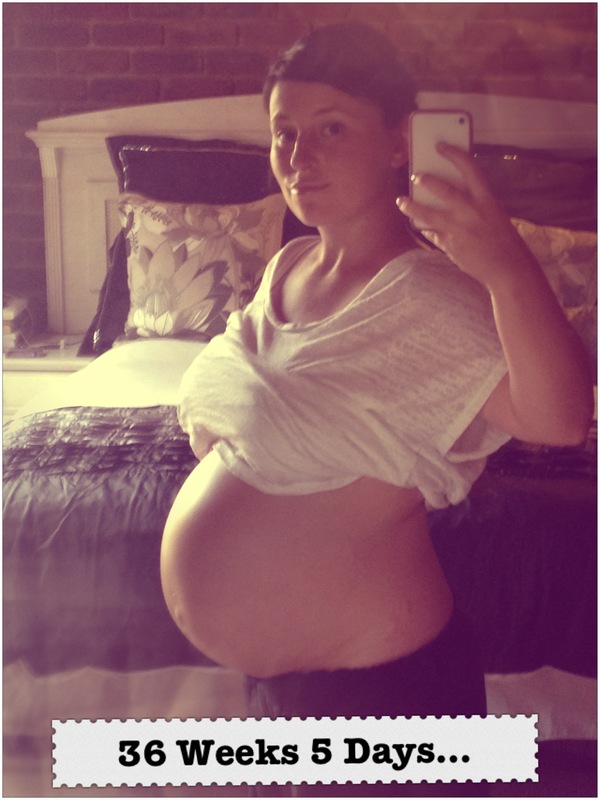 I would say Week 6,8,11 was when I could see radical changes in some areas. Best is to try and take progress pics- great way to track your progress and to see where you need to focus more. Advice – Eat clean, let your diet be sustainable, use the correct supplementation to assist reaching your goals and train hard. Incorporate running into your program HIIT – sprints – walk – sprint. Good luck and let me know how it goes. You can do this! I have been searching the internet trying to find a “normal” person who has done the USN challenge and isn’t saying it has worked when it hasn’t. I’m going to get the supplements and starts asap. I must admit though that i dont like doing weight training at the gym cause it feels like it’s an all mans territory and you get strange looks when you go to workout in that section! Any advice? Hi Pamela, I’m so glad you have found my blog/facebook page! Girl – I have never done weight training before the challenge I was the biggest cardio “junky” but I promise you that is what will get the results you want! Its crucial to combine strength training with cardio! Do you have a nice gym program? It will be uncomfortable at first if you’re not familiar with the weight training section but before you know it you will be a “natural” and no one will look at you strange! Honestly I lack motivation but I am dedicated to my running (cardio “junky”). I dont have any programs whatsoever cause the thought of weight training was daunting. I want to go and buy supplements. What can you recommend? Should i just get the starter pack? The starter pack is just to get you started…You will need to get extra products after the 2/3 weeks. If you purchase the Started Pack try to get the new one that is launched now! The starter pack is a great “starting” point with the passport, meal plan everything together in one pack! But most important to get started USN Phedra Cut Lipo, CLA 1000, Diet Fuel. Check out the specials at Dischem or the product packs where you buy one get one free option! You can then add as you progress! Let me know if you are uncertain. Claudine you look absolutely stunning! I love how you have this phenomenal feminine cut unlike the other challengers who went totally over bored! Your look is what I’m going for and you’re a great inspiration cuz it seems like we’re more or less the same length and I currently weigh 51kg. I’m not sure what my body fat percentage is but I’ll know on Monday. I’ve been trying to reach you on your facebook page as well as email but not sure if you check those anymore so I’m giving it another shot on here 😉 I’m starting my challenge this coming Monday (2012/10/08) and was hoping you could help me with something a lil more personalized as I’m still very uncertain about a few things and I want to make sure I know the deal 110% the website still confuses me a slight bit and I just have a few very simple yet very important questions. I have a excellent trainer that’s going to help me so the exercise part is pretty much well taken care of. Hope to hear from you soon!